Drew Hunter receives DAFE Lifetime Membership[/caption] Drew Hunter is well-known in many arenas. His extensive resume includes art installations, performance credits, attraction management, and dark attraction concept and design. Currently, Drew serves as Vice President of Design for Sally Corporation (Jacksonville, FL). Prior to Sally, Drew performed as characters ranging from Dr. Blood (host character for the Louisiana State Fair’s resident haunted attraction) to Bozo the Clown (Shreveport, LA television). 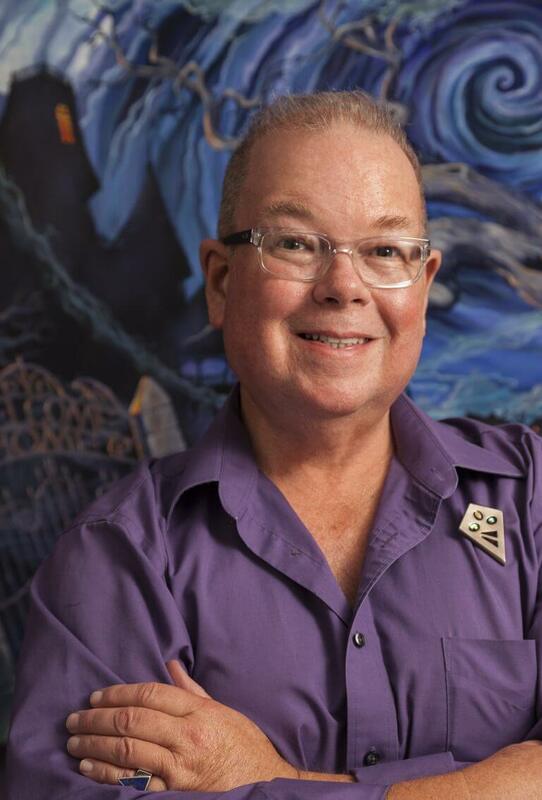 Drew was instrumental in the founding and management of the International Association of Haunted Attractions (IAHA), predecessor to the current Haunted Attraction Association (HHA) and the first trade organization devoted specifically to dark entertainment. Drew’s tenure with DAFE consists of over a decade of behind-the-scenes consultation in regard to promotion, publication of the quarterly magazines (Barrel ‘O Fun/Dark Times), and graphic design. Most recently, Drew designed the logo for the organization to reflect its renaming and rebranding.